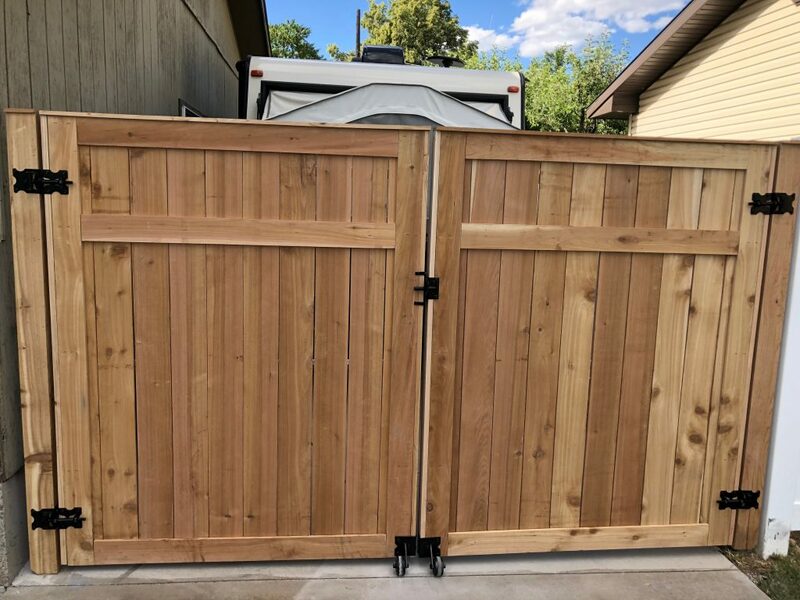 Cedar is an ideal wood to build a fence out of due to the natural oils that make it more resistant to moisture which means cedar will hold its shape longer. Having a wood fence adds a natural feel and rustic feature to any home. Stain or Seal – It’s always good practice to stain or use a waterproof sealant often, it helps the fence last longer and stands up to cold and wet weather better. Keep plants and shrubbery away if possible – It’s recommended to keep plants and shrubbery away from the wood fence to keep wood-boring bugs away that are attracted to plants. Don’t let sprinklers constantly hit the fence – Why can’t water hit my fence? Well, Municipal water contains chemicals such as chlorine which harm the wood.